Pizza anyone? I must admit, I probably should have eaten before creating this layout because the more food icons I used the hungrier I became. Luckily our little Pug 'Dusty' doesn't think the same about his pizza toy or we could be in all sorts of trouble. 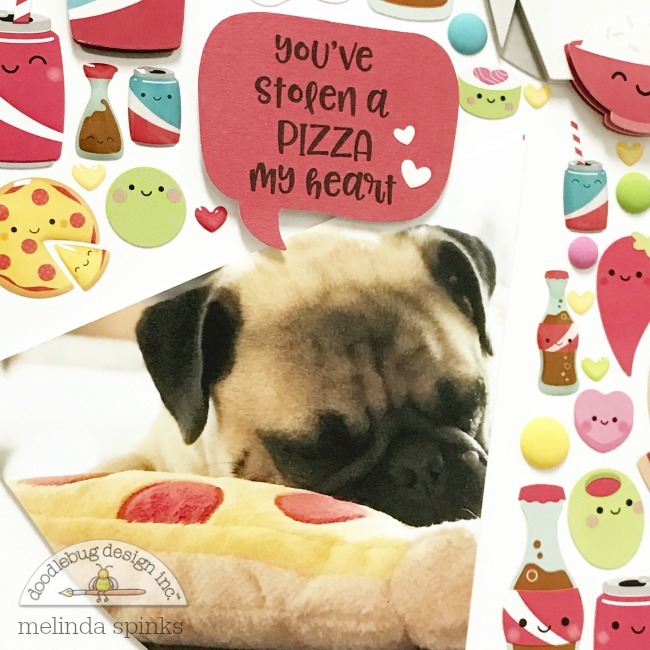 To be honest, he quite often falls asleep on his slice of pizza so I thought it would be fun to use 'So Punny' with all the little pizzas to record this sweet photo of our Pug and his pizza pillow. 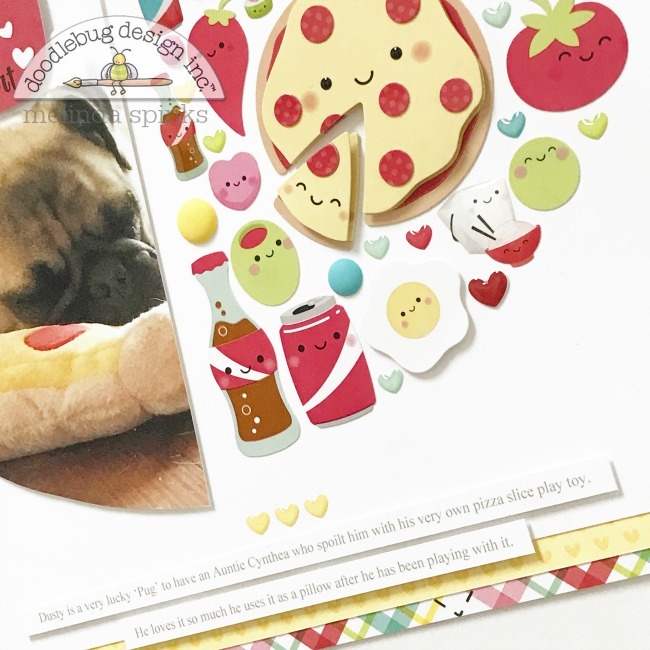 The brand new Chit Chat pieces work perfectly to co-ordinate with the icons so I used the 'you've stolen a PIZZA my heart' speech bubble as my page title. 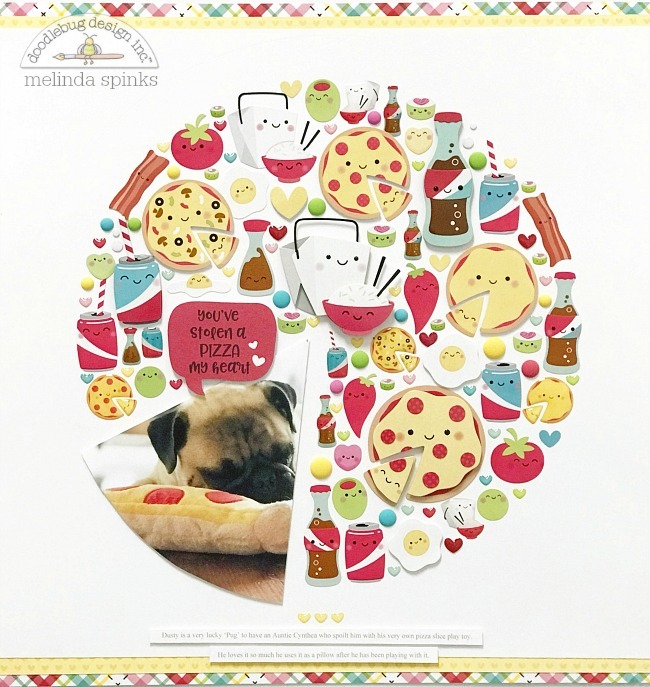 When putting together a collage style layout I always use a variety of flat and dimensional stickers to create small shadows which adds to the interest of the page. 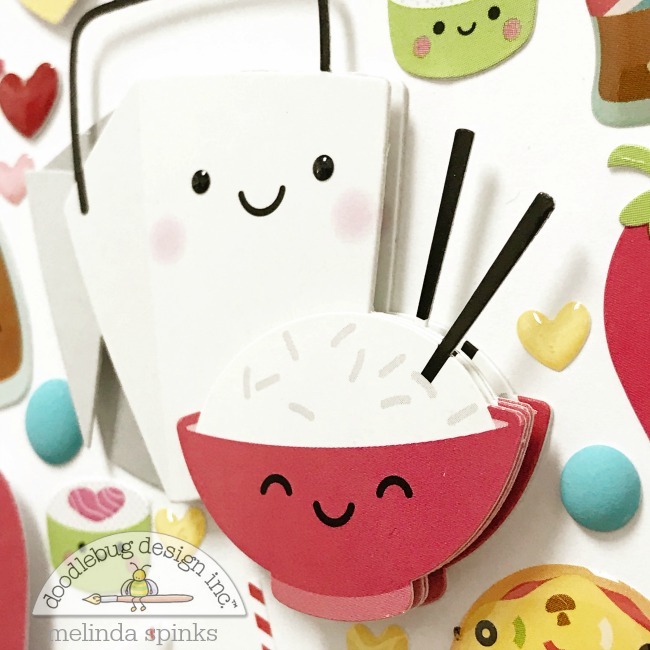 That's why Doodle-Pop dimensional stickers work perfectly and I can't go past their cuteness. Although 'So Punny' is a Valentine's Collection, it's design is broad enough to be used for so much more. So, have a hunt around your photo library and find some fun photos of pizza nights, or take-out with friends, or even camping pics where you are cooking bacon and eggs on a BBQ. All these events make up the 'every day' moments in our lives which are so important to record. I totally love this!!! And Dusty!! 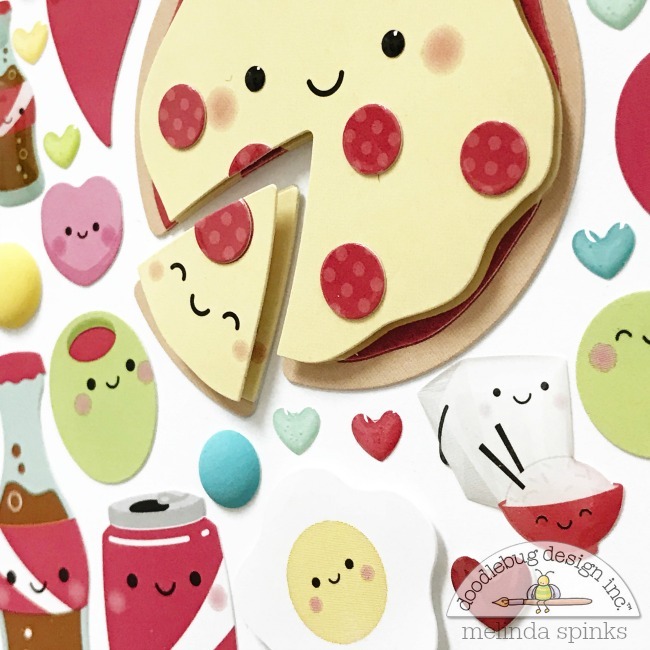 Sooo cute and how perfect that you captured a photo with a pizza toy. :) Loving the photo placed in the place of a slice.